The Squirrelheads - Rockin' The House New Orleans Style! 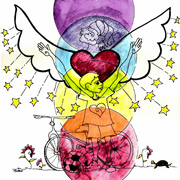 is now available for purchase online. Click here to get your download! Also available from your favorite online digital retailer (iTunes for example). many stops in between, each song stands on its own - and highlights a different side of their many influences. Out 'n about The Squirrelheads have been seen playing outdoor festivals, local clubs, bars and private events. thang. If you ain't groovin' then you ain't listenin' to The Squirrelheads. Start with influences such as the Meters, The Neville Brothers, Dr. John, Buckwheat Zydeco and The Radiators. Then throw in a side of the south such as the Allman Brothers Band and James Brown and you have a unique style of roots-funk-boogie with a Zydeco twist. Truly a sound that will turn any night into a full-blown Mardi Gras Party! 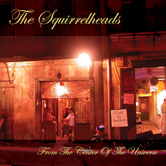 While The Squirrelheads have evolved into one of Atlanta's most requested party bands, the 2006 release of their first CD, From The Center Of The Universe, proves that nothing beats good song writing. From the instrumentals "Tallboy"
stage with the likes of Jimmy Herring (Widespread Panic), Tab Benoit, Papa Mali, Bobby Lee Rogers (The Codetalkers), Sister Hazel, Blueground Undergrass, Rebirth Brass Band, Deep Blue Sun and The Donna Hopkins Band. They've also been highlighted on Atlanta Radio stations Rock 100.5, the former 99X and Z93, and Gainesville's WBCX, and showcased in venues such as The Vista Room, Smith's Olde Bar, Fat Matt's Rib Shack, The Five Spot, The Moonshadow Tavern, The Brandyhouse and Jake's Toadhouse to name a few. On the Highways and Byways all Skwerls are sacred - and The Squirrelheads are out there rockin' the house New Orleans style. So be sure to look both ways in 2018 – thangs is gonna stay funky!